Planning a wedding is like having another full-time job. The tasks and to-do lists are endless, even when planning a small wedding reception like I am. Although I won’t be hosting an over-the-top, extravagant reception, it’s still very important to me that everything reflects my vision fully, all details are in the right place and the wedding represents my fiancé Antonio and me from start to finish. There are two details I care about most: the cake (since baking is a main component of my daily job and life) and the welcome bag (a detail you need to have!). For most weddings, it is highly unlikely that friends and family from both the bride’s and groom’s sides have a complete view of who you are, individually and as a couple. Why not provide a glimpse into your world right off the bat with a fun welcome bag? This is one of the best ways to share your love story and wedding journey with all the guests attending the wedding- it really gives them the opportunity to get to know you better. While taking photos of myself, I tend to rely on funny faces and grimaces while still documenting the moment (dragging my fiancé with me, of course!). For my welcome bag project, I wanted to use this quirky photo-taking method of mine and use it to tell our love story. When brainstorming ideas for the best way to tell our story through pictures, I thought to myself: why not assign a different emoji to each picture? 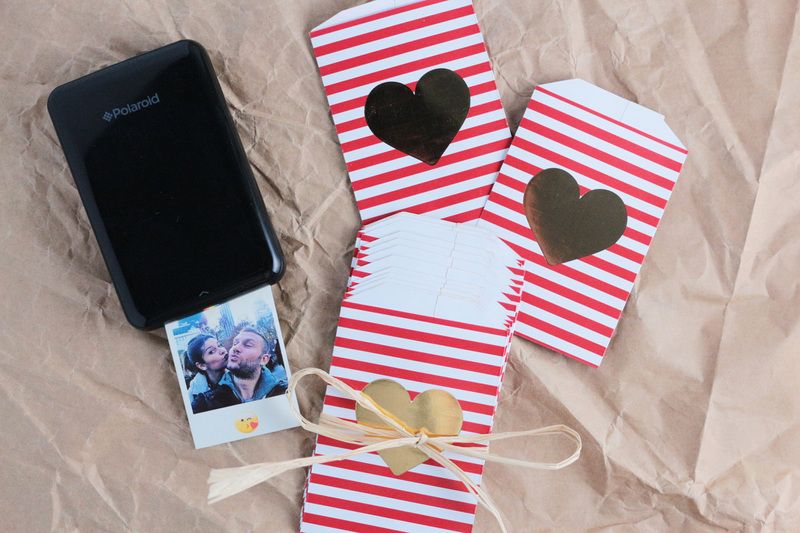 This way I could make something new that highlights our fun-loving nature, using the Polaroid Zip photoprinter to personalize photos to put inside the welcome bags for our guests. 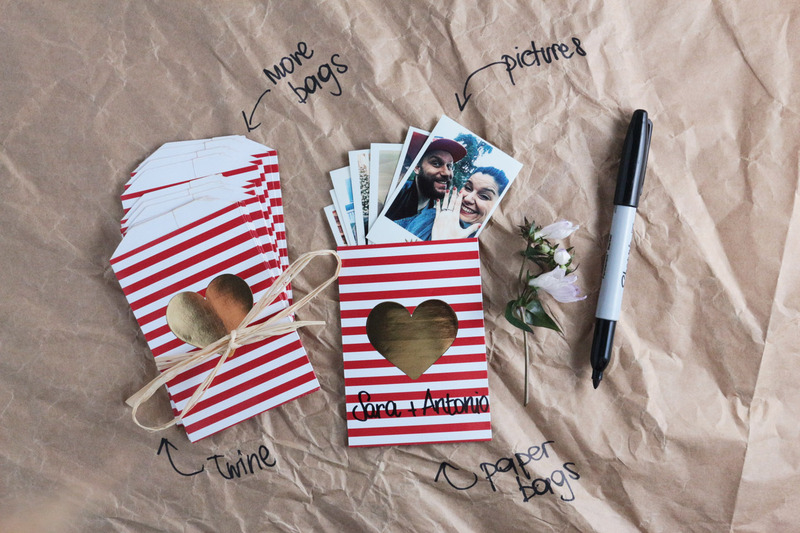 This DIY wedding project was easy to create; all I had to do was print five or six photos, place them inside a small decorated paper bag and label each one “Sara + Antonio," and that was it! 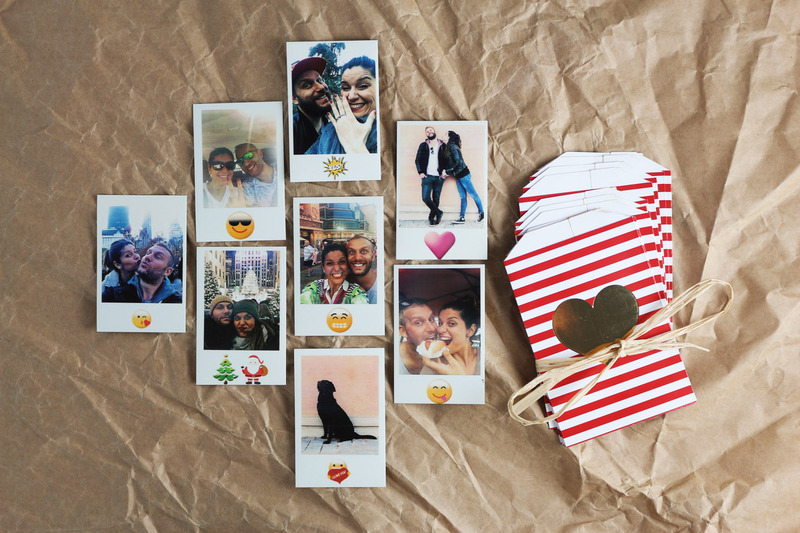 The guests will appreciate the gift and they will have a collection of sweet, fun mini Polaroid photos to get a true sense of who we are and set the tone for our wedding celebration. For a step by step guide on how to make a DIY welcome bag for your wedding, check out www.misscococupcake.com. To learn more about the Polaroid Zip, visit http://polaroid.com/products/zip-instant-photoprinter.